Feather touch finish sheet set. 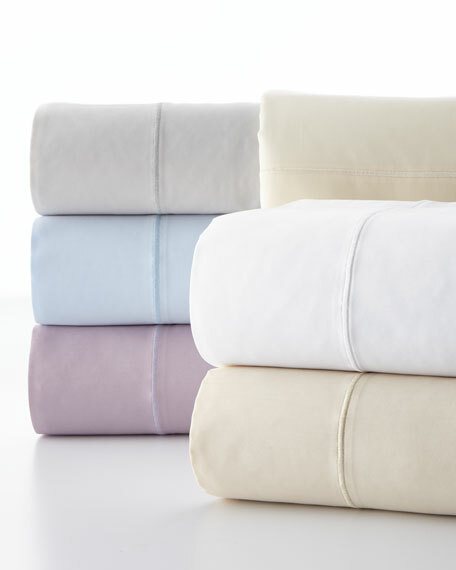 Set includes: flat sheet (84" x 96"), fitted sheet (54" x 75"; 15" pocket; fits 18" mattress), two pillowcases (21" x 32"). 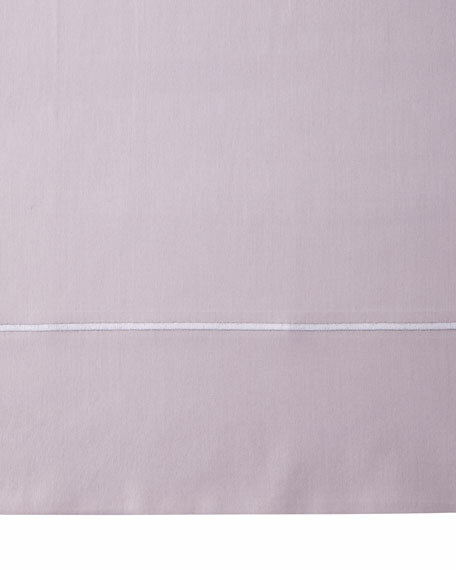 Baratta stitch on flat sheet and pillowcases.